Canned tuna is one of the most commonly consumed types of fish worldwide. It is relatively inexpensive and keeps for quite a while in the store-room, making it a convenient protein meal when you need a quick snack. Eating either canned or fresh tuna fish provides you with a number of essential nutrients and can have a range of health benefits. A three- ounce serving of chunk light tuna canned in water contains 98 calories, 21 grams of protein and 0.8 grams of fat, making it a great choice for those who look for a protein source with low fat. This serving of tuna also provides 11.4 milligrams of niacin; 2.4 micrograms of vitamin B 12; 155 international units of vitamin D; 0.4 milligrams of vitamin B-6 and 140 milligrams of phosphorus. The same-sized serving of fresh blue fin tuna provides you with more of some vitamins and minerals, but also contains more calories and fat. It contains 157 calories, 26 grams of protein and 5.4 grams of fat and provides 10 milligrams of niacin, 9.4 micrograms of vitamin B-12, 0.5 milligrams of vitamin B-6 and 278 milligrams of phosphorus. 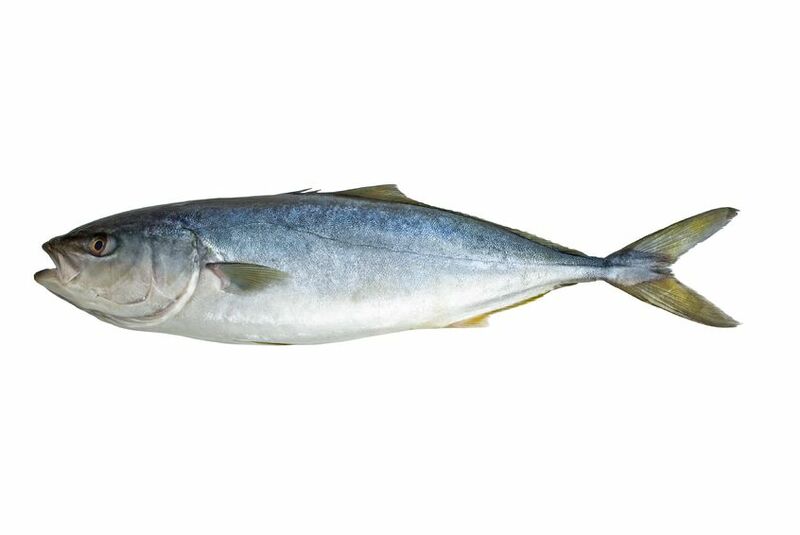 Although it does not contain significant amounts of vitamin D, it contains 2,141 international units of vitamin A.
Tuna as many other fish contains the essential omega-3 fats. Each serving of chunk light tuna provides 235 milligrams. Fresh blue fin tuna contains the most omega-3 fats of the different types of tuna, with 1,280 milligrams per three-ounce serving and the amount of omega-3 fats in other types of tuna falls somewhere in between that of canned chunk light tuna and fresh blue fin tuna. The omega-3 fats in tuna may lower the risk of cardiovascular disease. 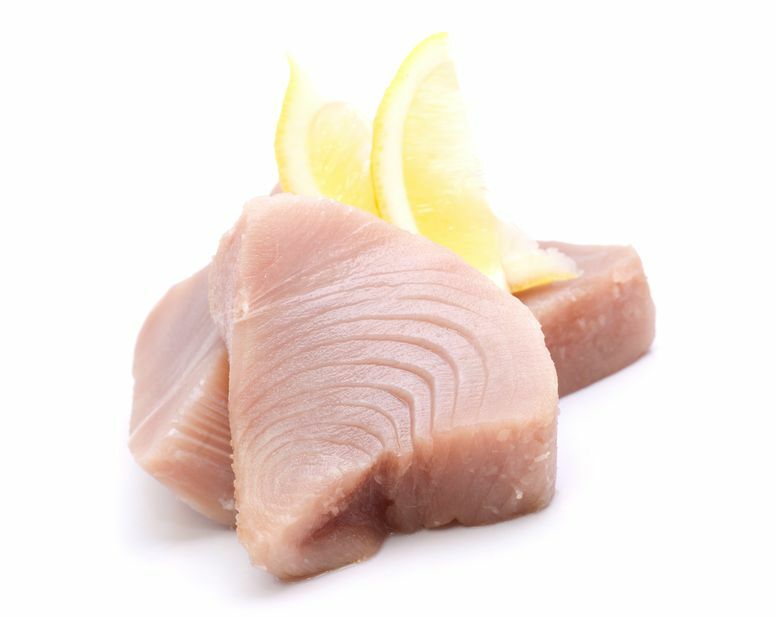 A three-ounce portion of fresh yellow fin tuna provides 90 milligrams docosahexaenoic acid and 14 milligrams eicosapentaenoic acid. DHA and EPA are long-chain omega-3 fats which may lower levels of blood triglyceride and slow plaque formation in blood vessels. Omega-3 fats can reduce blood clots and help prevent strokes as well as heart attacks. 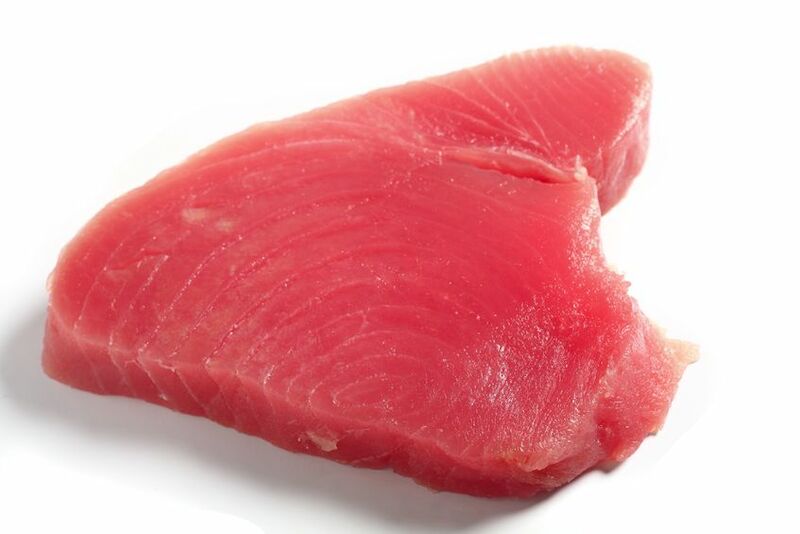 A three-ounce serving of cooked yellow fin tuna provides 26 grams protein and it gives you only 109 calories. Choosing tuna for your protein source instead of fatty meats like chuck can save calories and help you control your weight. As with all foods, the calories you gain from your tuna meal depend on how you prepare it. One serving of tuna salad with mayonnaise has hundreds of calories. Fresh tuna is naturally high in potassium, with 449 milligrams and low in sodium, with 45 milligrams in a three-ounce portion. High potassium and low sodium diet always helps control high blood pressure and the experts suggest that healthy adults should get at least 4,600 milligrams potassium and no more than 2,200 milligrams sodium per day. Tuna canned with added salt is higher in sodium than fresh tuna and tuna canned without salt. Tuna can be contaminated with mercury- an environmental contaminant that can be harmful to developing infants or fetuses. Since chunk tuna contains the least amount of mercury, it is safe to consume up to 10 ounces per week. Fresh tuna has higher mercury levels, so you should only eat it occasionally and pregnant women can safely consume 5 ounces of canned albacore tuna each week. When you have to consume fresh fish, bake or broil it, as eating fried one may increase your risk for heart problems rather than decreasing it.